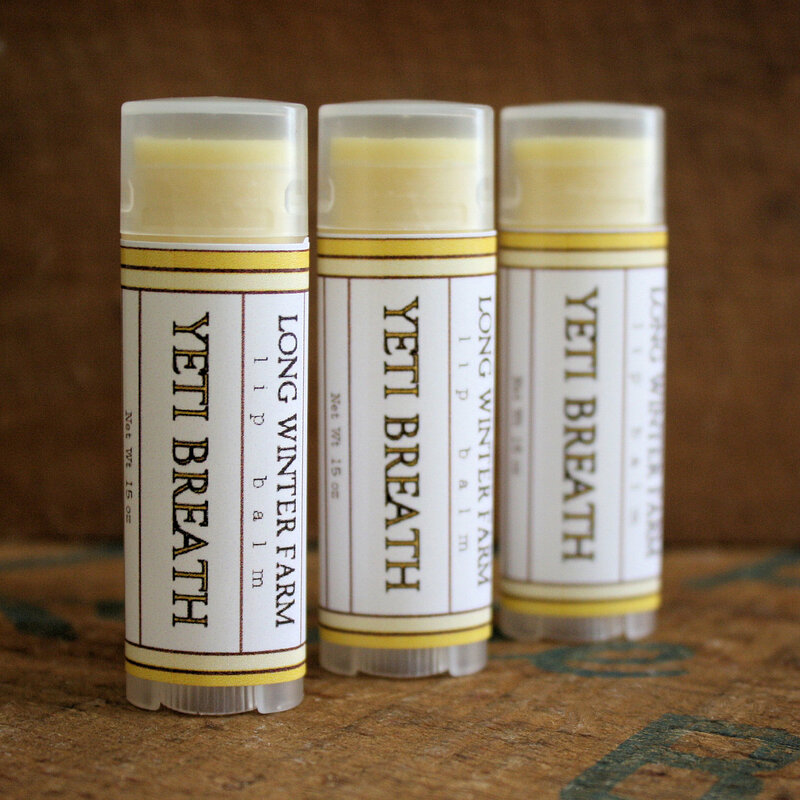 If you are as enamored by lip balm as I, you’ll be interested to know about Long Winter Farm. While Amanda makes cold process soap, skin cream, and perfume oil, the product I am lauding here is her lip balm. I am a big proponent of natural products, and try to buy from small vendors as opposed to bigger companies. It’s not a hard and fast rule, but I am making an effort to support local craftspeople more and more. I was a Burt’s Bees girl through and through until I found Long Winter Farm. 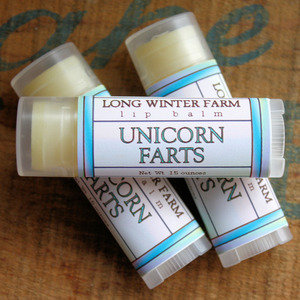 I was drawn to the simple list of ingredients used in Amanda’s lip balm, but I was sold with just the name of one of her best-selling flavors: Unicorn Farts. Be still my nerd heart! What nerd wouldn’t want to use a lip balm named for a mythological creature’s bodily functions? Not this one, for sure. If unicorns and their fragrant farts aren’t appealing to you, Amanda also sells another nerdily-named flavor: Yeti Breath (flavored like coconut lemon).